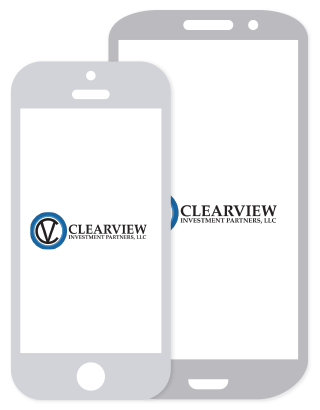 ClearView Investment Partners uses a systematic, in-depth financial planning approach for each of our clients that seeks to reflect all of a client’s priorities and specific life circumstances. Financial confidence can come from having a sound, lifetime financial plan built as a result of a collaborative effort between a client and an adviser. That collaboration addresses the many details, options, strategies and action steps defined throughout the six stages of a comprehensive financial plan. Discovery Meeting - Our initial meeting is to understand you... your goals, your vision and your concerns, as well as, to introduce ourselves, our firm, our experience and our philosophy. Plan Proposal Meeting - After analyzing some preliminary data you provide to us during our introduction meeting, we will create a proposal for planning. You can then decide how you would like to work with us to bring that plan to fruition. Data Gathering - In order to provide a detailed recommendation based on your situation, we’ll need to collect detailed financial data. These include statements, insurance policies, wills, trusts, etc. 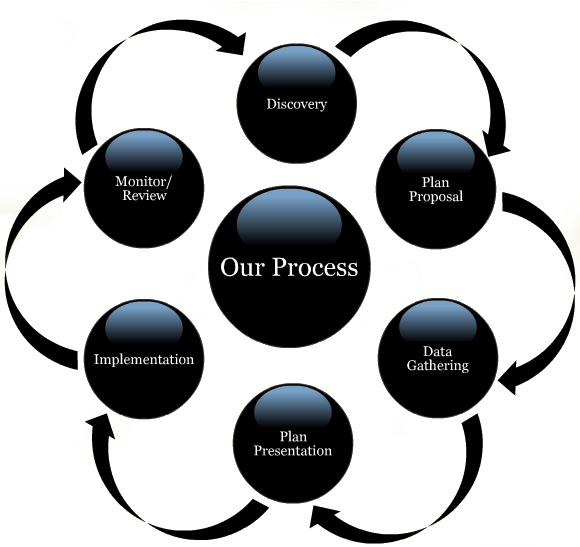 Plan Presentation - Our plan will outline your goals, your objectives, your current situation and our recommendations. Implementation - A plan is not worth the paper it’s written on, unless you take action. Here we can help you take the appropriate action to turn your plan into a reality, by going to the marketplace to identify and purchase investment vehicles, insurance, etc. Monitor & Review - A plan is not static. It is constantly changing. Therefore, we need to continuously monitor and review your plan and any financial instruments we may have implemented, to ensure that it adheres to goals and objectives for you and your family.